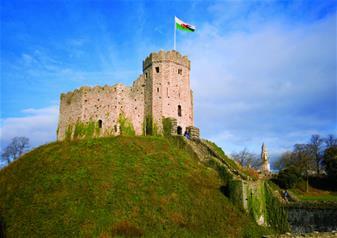 Cardiff Castle is one of Wales’ leading heritage attractions and a site of international significance. Located at the heart of the capital, within beautiful parklands, the Castle’s walls and fairytale towers conceal 2,000 years of history. The 3rd Marquess died when he was only 53 in 1900. He had transformed the Castle into a Welsh Victorian Camelot – now regarded as being of international significance. Despite huge death duties on the estate, the 4th Marquess completed many of his father’s restoration projects including the reconstruction of the Roman wall. The Bute family continued to stay at the Castle throughout the 1920s and 1930s, although they had sold off many of their business interests in South Wales. Following the death of the 4th Marquess of Bute, the family decided to give the Castle and much of its parkland, known as Bute Park, to the city of Cardiff. For 25 years, the Castle was home to the National College of Music and Drama and since 1974 has become one of Wales’ most popular visitor attractions.